Taking a look at the magical realm of Benimussa park and flagship event The Zoo Project. When holiday-makers and island dwellers look for a wild daytime party on Ibiza, they go to one place: Benimussa Park. Why? Because that's where the The Zoo Project creates a tribal vibe and magical atmosphere. The day event is unique on the island because of its festival-like energy within an open-air venue structure. This past closing showed just why this party has been raging for 11 seasons now. Within the walls of the Zoo, the open Treehouse Stage, adorned with greenery, looks like something straight out of a nature documentary. Towards the back of the venue the Seal Pit presents an amphitheatre for raving, while the magical Mandala Garden hosts artistic performers and dancers adding a jungle flair to the sights and sounds of the party. 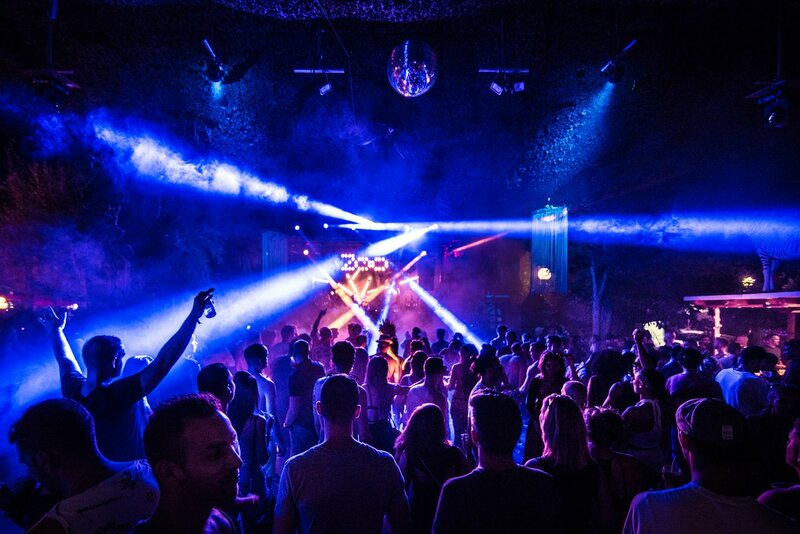 The all-around experience at The Zoo Project is an immersive one. Not to mention, what's more entertaining than getting yourself glammed up, donning body paint in the style of a wild animal, and dancing like one amongst your fellow tribe members.To see the guests covered in animal body paint patterns, dancing and laughing without a care in the world, it's easy to see why Zoo Project has been successful for over a decade. As for the music, a nicely eclectic mix not limited to a specific musical policy, which is why I think it's a party that everyone can enjoy. Not only this, but the space within the venue is used effectively, so you have the freedom to walk around and take in all the performances, stalls and stages that The Zoo Project has to offer. All this and more are what I got to experience for the first time, finally making it to The Zoo Project for its final fiesta last Saturday. The place radiates a positive and welcoming aura, from the DJs to the staff, making it a double-pleasure to be there. Take a look at the pictures below for a virtual trip into this magical realm. Milou spins the Seal Pit as sun sets on Zoo Project. Funk E laying down grooves in the Treehouse. Beautiful wild tribal dancers of The Zoo Project gathering smiling for the camera. Mandala Garden planking yoga 101. Attack of the fabulous glittery butterfly ravers. Dancing to the beat of the drums as one people. Cha Cha Cha! Ha Ha Ha! Calipsa on red light disco ball business in the Living Room. Nothing but good vibes and happiness in this photo. One final wave from the Seal Pit signalling the finale of the fiesta. Whilst The Zoo Project party has now sadly closed for the season, you can still attend Zoo Evolution on Tuesdays up until the 17 October. Check out our party calendar below for details then get ready to let your wild side out.